A well-designed one and two bedroom community with lush grounds, 4 pet areas, pool and hot tub, fitness room, gazebo area with BBQs and picnic tables, spacious clubhouse with full kitchen and lounge with flat screen TV and free Wi-Fi. Centrally located in the vibrant heart of Kennewick close to shopping, entertainment and conveniently close to Hwy 395 and Hwy 240. Minutes from Columbia Center Mall and the Columbia River. Desertbrook offers lush grounds and comfortable living with a splash of charm. Our open floor plans and unique surroundings will cultivate everyday life to extraordinary. 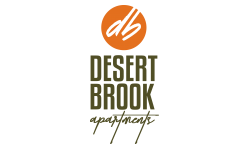 Convenient advantages and location make Desertbrook the perfect place to call home.